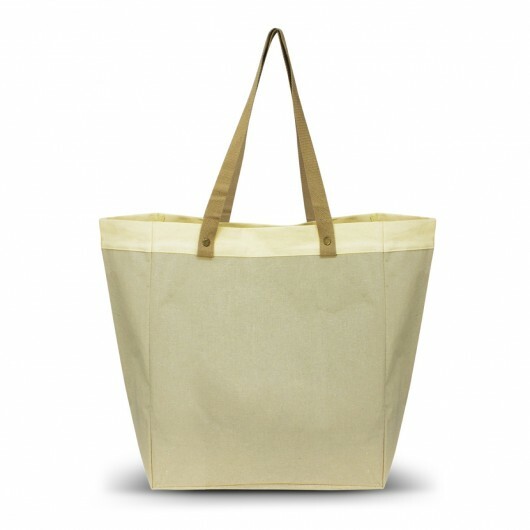 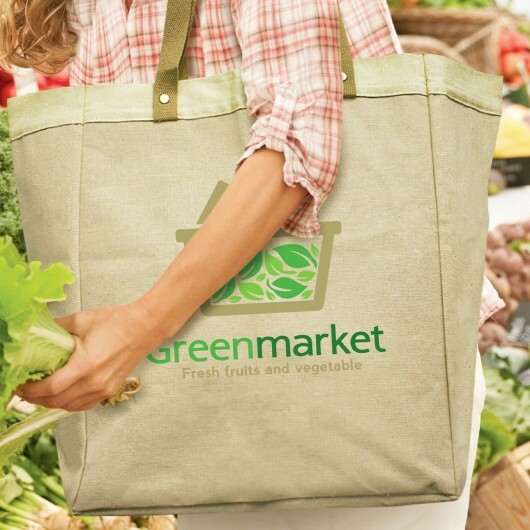 An extra large laminated linen tote bag with your logo. A must have while at the markets. If you're in the market for an Eco friendly tote with a huge capacity and quality materials you're in the right place! 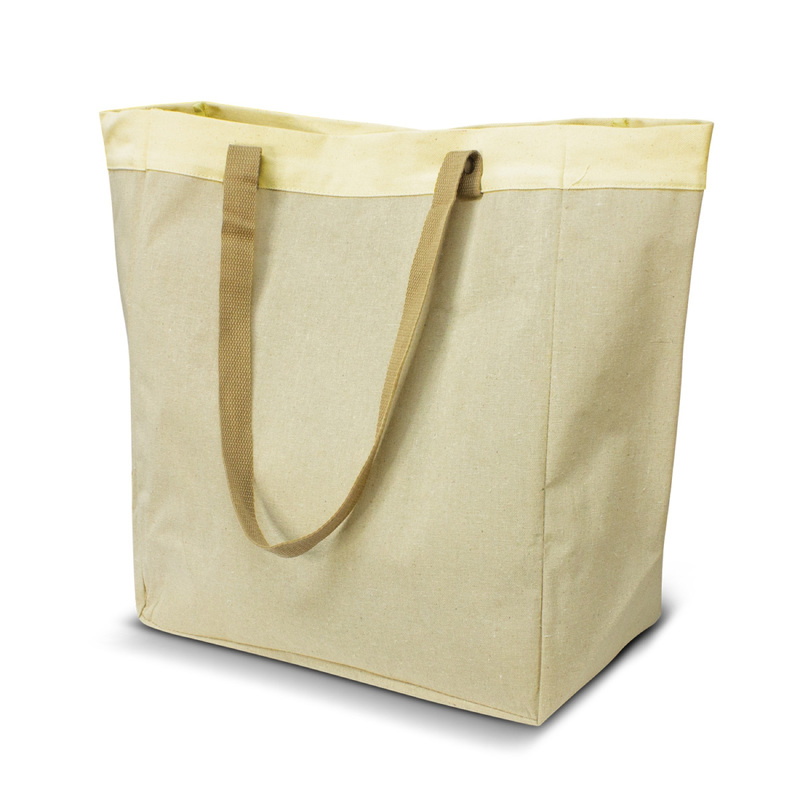 These bags have an extra large size and are made from natural laminated linen with unbleached natural calico trim around the top. 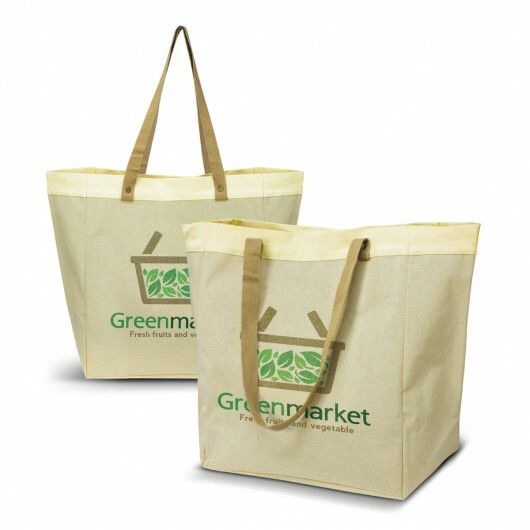 They are ideal for carrying bulky items and have long woven carry handles which can be transported on the shoulder which are secured with brass rivets for added strength.